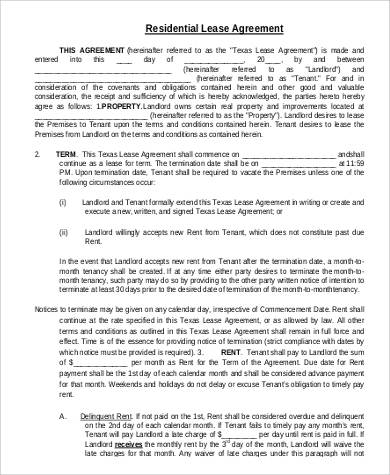 A generic lease agreement is a nonexclusive general contract agreement between the lessor, who’s the property owner, and the lessee, who’s the tenant, to use a property for an agreed period of time. 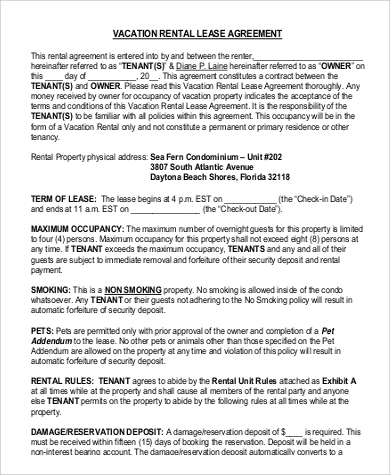 Such agreement does not provide ownership of the property, but the owner can modify the agreement so that the property can be improved to satisfy the needs of the tenant. During the whole lease period, the tenant is responsible for the upkeep of the property and can be held liable for any damage to the property incurred during the lease period. 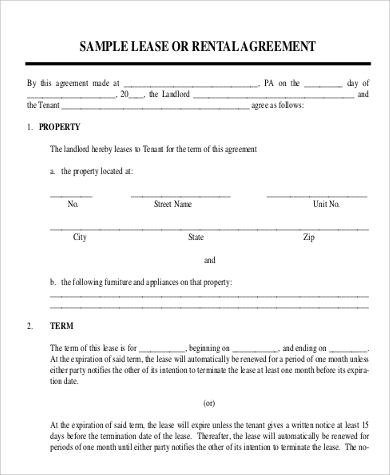 Our Generic Lease Sample Agreements cover a variety of lease agreements applicable to residential or commercial uses. 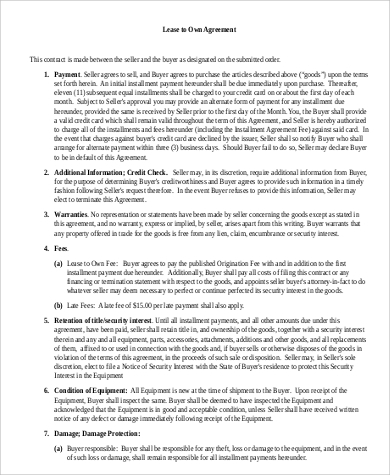 These are free to download and print and can be either edited or modified to suit the terms of the agreement. These are available for downloading in both Word Doc and PDF files. A leasing contract can be applied not just to a piece of property but also to a building or heavy equipment machinery. 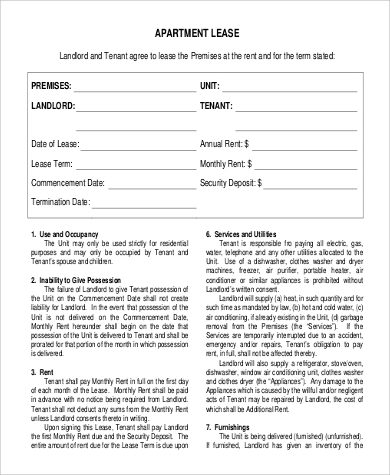 The set period of time agreed upon on the lease comes with a set period of payment terms. Besides the usual terms and payment agreements, conditions set on the leased property and machinery may contain provisions for maintenance of the leased property or equipment. In some instances, the leased property or machinery can be agreed upon by both parties to be bought at a lesser amount than its original worth. 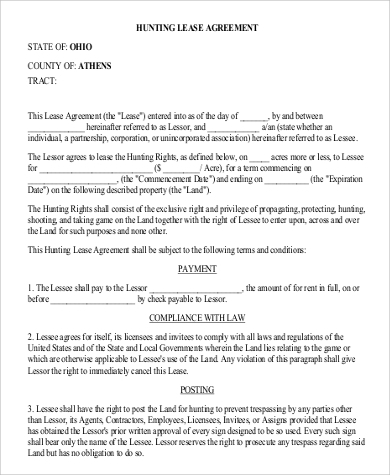 Some lease agreements carry a “Purchase Option” (our sample forms can be modified for such an agreement), but that option often carries in favor of the owner since the total amount of the lease paid is significantly greater than the original amount of the leased property or machinery. Our website also offers Sample Business Partnership Agreements for those who wish to go into business together and Blank Lease Agreement Samples that can be used to fill in any kind of a agreement that the lessor and lessee can come into. These are all available for downloading and print and also available in either Word Doc or PDF file. 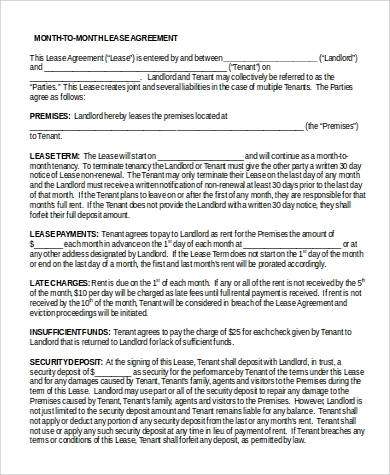 A lease is quite different from rent as indicated in the terms of lease in the sense that leases are usually long-term and can last up to 20 years. Commercial spaces are generally favorable for lease terms because businesses need long-term agreements that are essential to their growth and venture. 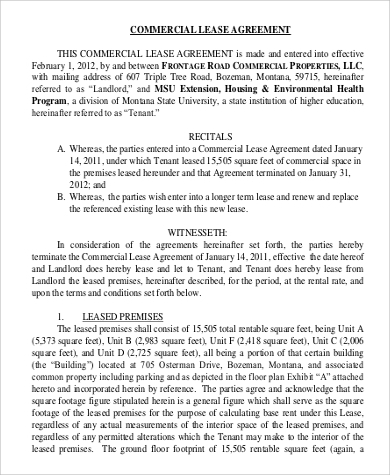 The decision to rent or lease ultimately falls on the agreement between the lessor and the lessee depending on the nature of the business and the options both sides have agreed to reach into. 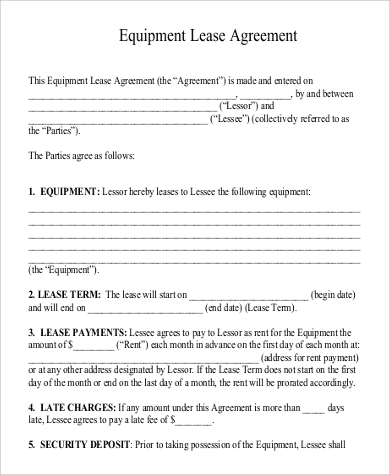 Our Sample Lease Agreement Forms will guide both lessor and lessee how to go about with the terms of their agreement and which provisions are acceptable for them to work out the agreement in its proper perspective. These are also free for downloading and can be edited or modified before printing.